Adna Romanza Chaffee, Jr. was born September 23, 1884 in Junction City, Kansas; the son of LTG Adna Romanza Chaffee Sr. USA and Annie Frances Rockwell. He accompanied his father during the Boxer Rebellion expedition in China. Adna Jr. graduated from West Point in 1906, 31st in his class of 78 graduates (United States Army, Cullum No.4483 Class of 1906). He was commissioned a Cavalry Lieutenant, his first tour of duty was with the 15th Cavalry as part of the Army of Cuban Pacification. An extremely competent horseman, he next was assigned to the Mounted Services School at Fort Riley, Kansas from 1907-1911, where he commanded the mounted detachment serving the students and staff of the Army War College. He was also a member of American Equestrian Teams that competed world-wide. Chaffee then attended the French Cavalry School at Saumur for a year, returning to teach again at Fort Riley. Chaffee’s next posting was with the 7th Cavalry in the Philippines (1914-1915). He was then reassigned to the Staff and Faculty at West Point as the Senior Cavalry Instructor in the Tactical Department (1916-1917). Now a Captain, Chaffee next served as the adjutant for the 81st Division as it prepared to depart for France in WW I. During the war, he served as an Assistant G3 Operations officer in the IV Corps and then as the G3 of the 81st Division during the St. Mihiel and Meu se-Argonne offensives. Promoted to the temporary rank of Colonel, he became the G3, III Corps for the duration of the war and remained with the corps for occupation duty in 1919. Colonel Chaffee returned to the United States in 1919 as an instructor at the Command and General Staff School at Fort Leavenworth. In 1920, he attained the permanent rank of Major, having reverted to his permanent rank of Captain after the war. Chaffee held a variety of positions with the 3rd Cavalry and IVth Corps after his tour at Fort Leavenworth. He became the G3 for the 1st Cavalry Division in 1921 and remained at Fort Bliss through 1924. After attending the Army War College, he assumed command of a squadron of the 3rd Cavalry from 1925 to 1927. Following this command, he moved to the War Department's General Staff (1927-1931), was promoted to Lieutenant Colonel and worked on developing mechanized and armored forces for the Army. Chaffee left the General Staff in 1931 to serve as the Executive Officer of the newly formed 1st Cavalry (Mechanized) at Fort Knox. Returning to Washington, D.C. and the War Department in 1934, Chaffee served as the Chief of the Budget and Legislative Planning Branch (1934-1938) and returned to Fort Knox in 1938 to assume command of the 1st Cavalry (Mech). He was promoted to Brigadier General on November 1, 1938 and given the command of the 7th Mechanized Brigade. He led the embryonic unit through crucial maneuvers conducted in Plattsburgh and Louisiana (1939-1940). The Louisiana Maneuvers in particular are noteworthy for the impact they had on developing U.S. mechanized doctrine. In June 1940, Brigadier General Chaffee was appointed the Commander of the Armored Force, responsible for integrating all branches of the Army into mechanized warfare. As such he played a major role in the development and fielding of the 1st and 2nd Armored Divisions. Promoted to Major General in October 1940, he was given command of the I Armored Corps, unfortunately, before many of the major armored battles of World War II that changed the face of modern warfare forever. He was awarded the Distinguished Service Medal. Adna married Ethel Warren Huff, daughter of Watson Warren Huff, on December 15, 1908 in Fort Riley, Kansas. She was born in 1888, had ne child, died in 1945, and is buried with Adna. Major General Chaffee died of cancer on August 22, 1941 in Boston, Massachusetts. General Chaffee is still considered the father of the US Armored branch. He is buried with his wife next to his father in Section 3, lot 1944 map grid S/T 15.5 in Arlington National Cemetery, Virginia. There is a Chaffee Room located in Patton Hall, Fort Myers, Virginia named in his honor. Also, a main entrance to the Patton Museum of Cavalry & Armor in Fort Knox, Kentucky, is on Chaffey Avenue. Camp/Fort Chaffee: (1941- ) Built in 1941 and located in Arkansas, south west of Fort Smith, was named after Major General Adna R. Chaffee Jr.. From 1942 to 1946, Camp Chaffee was the training center for the 6th, 14th and 16th Armored Divisions for World War II. From 1943-1946, 3,000 German prisoners of war encamped at Camp Chaffee. From 1948 to 1957, the Camp was the home for the 5th Armored Division. In 1956, the camp was re-designated Fort Chaffee. On March 25, 1958, the media photographed the most famous hair cut in history at building #803 in Fort Chaffee, as Elvis Presley was inducted into the US Army. He spent four days at the Fort. In 1975, Fort Chaffee was home to 50,809 Southeast Asian refugees and later to 25,390 Caribbean refugees (1980-1982). It was the movie set for A Soldier's Story (1983) and Biloxi Blues (1987). 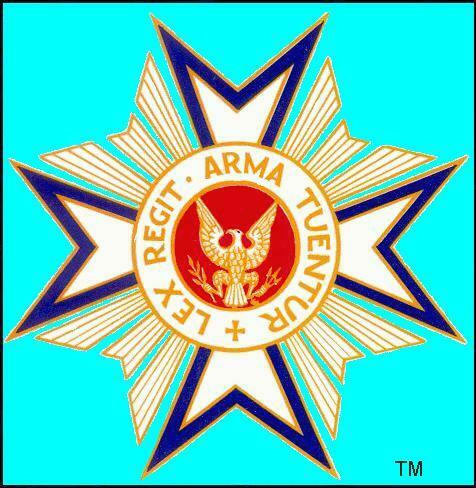 It served as the Joint Readiness Training Center for light combat forces from 1987 to 1993. More than 50,000 Army National Guard and Army Reserve soldiers train there annually. The Fort Chaffee Military Reservation (35.3093ºN 94.3236ºW) is 100 square miles (71,359 acres) in area. In 2004, the U.S. Department of Defense’s Base Realignment and Closure Program allocated 7,000 acres of the Fort property for the Chaffee Crossing residential, commercial and industrial development. 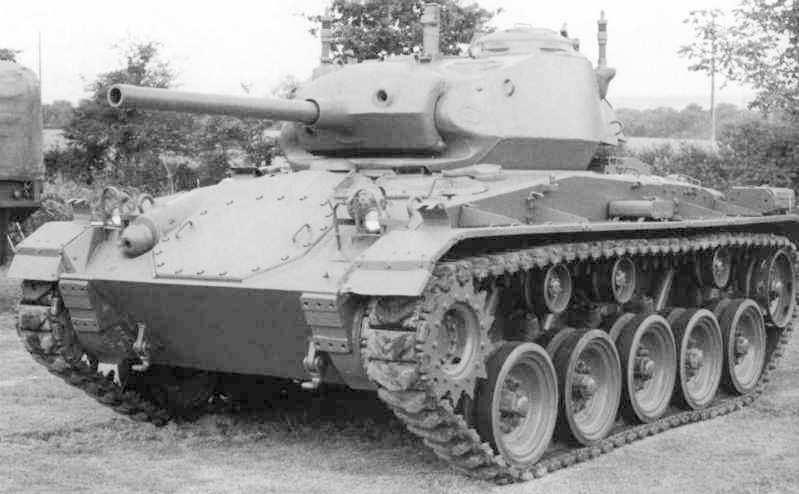 US M24 Chaffee Light Tank: (1943-1960) Christened in honor of General Adna R Chaffee Jr. Design of the M24 was begun in mid-1943 in order to replace the M5A1 light tank, which suffered from insufficient armament, lack of room in the turret and over-heating of the engine. A small number entered service in time to be used in Europe, seeing action at the crossing of the Rhine and the later stages of the campaign against Germany. The tank was used in the Battle of the Bulge in January 1945. The M24 Chaffee, arguably the best light tank of World War II, was a fast light armoured vehicle with the ability to deliver relatively large calibre direct fire with the excellent 75 mm M6 gun. During 1943-45, Cadillac and Massey-Harris produced 4415 tanks. The first reached Europe in late 1944, where they proved very effective and highly reliable. However, at the outset of the Korean War, American forces equipped with the with M24 Chaffee's performed poorly against the enemy's T-34/85s, and these US units were soon augmented with M26 Pershing's and M46 Patton's, along with M4A3E8 Sherman's with the long 76mm gun. However, in spite of these deficiencies, the M24 fought in a number of significant delaying actions, often as dug-in artillery, allowing many of the beleaguered ground forces to withdraw during the retreat down the Korean peninsula to Pusan. It remained in American service until 1953, by which time it was totally replaced by the M41 Bulldog. After 1945, the M24 Chaffee was used by many American allies. The French army used them in Indo-China, including at the battle of Dien Bien Phu. Though obsolete by the mid-1960's, the tank remains in service in some countries. In Taiwan, the platform has been re-equipped with a 90mm gun. The tank had a crew of 5, weighed 30,500 pounds and had a maximum speed of 35 miles per hour and a range of 175 miles. About 5,000 were built for WWII. 1) Adna Romanza Chaffee III, born September 4, 1910 and died December 1978 in St. Petersburg, Florida. 6) Who's Who in America, V.1 1897-1942, p.206.